Email newsletter lists can be a great marketing tool for companies to not only get new and exciting information out to their customers, but also build a list of people who are interested in receiving communication from that company. We’ve already discussed the importance of using lists in your email marketing and having a list of dedicated subscribers is a very important tool to grow and retain. Newsletters can be a tricky task for businesses. 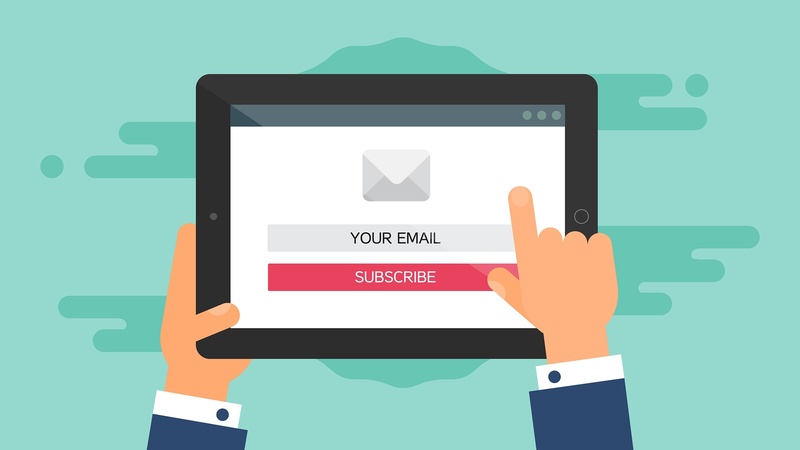 While we could write a whole other blog about how to produce a good email newsletter, this particular article will focus on how to gain and keep a list of subscribers. This list is a valuable commodity because it is literally a group of people who have indicated they are interested in your company and what you have to say. Treat this list like gold; if you use and nurture it correctly, you can use this list in other areas such as social media marketing and ad retargeting. To do this successfully, you have to build a sense of trust by following through on what you offer them in the initial subscription. When users subscribe to your email list, be sure to clearly state what they will be receiving by signing up. Let your readers know what information you will typically be giving them and approximately how often they will hear from you. A great way to do this is to give examples of what they will receive. Show a sample article or headline. Let them know if you offer exclusives (pre-sales, coupon codes, etc.) for email subscribers. Get them excited about receiving information from you. While it is understandable that you don’t need to tell people exactly what time and day you will be emailing them every week, you should also let them know if the email is a monthly email, a weekly email, or a daily email so they know what to expect from you. Setting clear expectations helps you as a marketer because it will lower your unsubscribe rate if people have clear expectations when subscribing. People are often hesitant to add another email subscription to an already crowded inbox. If they are on the fence about subscribing to your email list, sometimes offering an incentive can be a great way to push them towards subscribing. If you are a retail company, consider offering a one time discount to new subscribers. Other suggestions could include sending an exclusive article or content offer as a thank you for subscribing. Incentives don’t have to be something large; a small gesture goes a long way towards encouraging people to subscribe to your email list. Just ensure the incentive is representative of your company. It needs to be something that people will be interested in receiving because it is unique to you, not something that just bribes them into subscribing. If your incentive is unique to your business, you will be more likely to retain your subscriber long after they have received what you offered them because they are interested in what you have to offer. A great way to keep your subscribers interested and engaged (besides your amazing content, of course) is to occasionally offer exclusives, discounts, or coupons to your email subscribers. Some examples of this could include a coupon code specifically for subscribers or a discount celebrating their one-year of subscription. Another way to keep them engaged is to offer exclusive content only to subscribers. For example, you if you are a retail store, you could do a pre-sale or online pop up shop just for your email subscribers. You could also provide special content, tips, or ideas. The goal of this is to keep your readers interested and engaged once they have already subscribed to your list. Although, hopefully, they are staying engaged because of your content, it doesn’t hurt to occasionally thank them for their readership through exclusive offers. The best way to keep your subscribers engaged and on your email list is by providing relevant content. We discussed how to set expectations for your subscribers when they first sign up. Be sure your content always meets these expectations you have set forth. People signed up for your newsletter because they feel your content can provide value for them. If you have a large company with multiple areas of focus, don’t try to cram everything into one newsletter. Let people sign up for content that is relevant to them. Allow your content to be educational and relevant to your subscribers with small actions to drive traffic back to your site instead of producing overly promotional content that is not relevant to your subscribers' interests. Email newsletters are a great way to gain a list of subscribers who are interested in engaging with you and your company. If used correctly, this list can be instrumental in creating audiences for other advertisements and marketing. However, you must remember not to abuse the power these people have given you. They gave you their information because they felt that you could provide them with something valuable in return. Stay true to these expectations and you will be well on your way to building and retaining a valuable email list. The best way to ensure your subscribers stay engaged is by targeting the correct group of people using a buyer persona. Ready to make your own? Download our free template and get started!